Happy Ending for Walter! Living outdoors with an upper Respiratory infection. Vaccinated, to be neutered tomorrow and then off to his new indoor home. 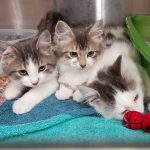 Huey,Dewey and Louey came to Fixed Fur Life as Stray babies trying to fend for themselves outside. They have now been adopted. Boy and Girl Cat. Yes those are their names lol. Adopted as a pair from us over 8 years ago. Mom was a pregnant stray who had 7 babies. Good to see they are doing well after all these years. Olive came to Fixed Fur Life with her siblings. 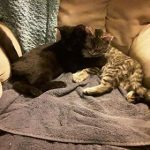 Their mom ( Spayed now) was a pregnant Stray. 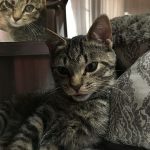 Olive and her sisters were spayed by Fixed Fur Life. 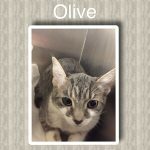 Olive is now adopted. 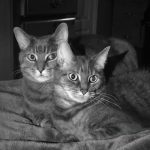 Bernie and Bert 2 Fixed Fur Life alumni recently adopted shown here in their new home. They love each other and also love their new big canine brother Theo! 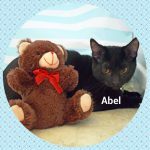 Abel was taken in from a colony trying to survive outdoors. Suffering from an upper respiratory and Cuterebra that had to be surgically removed. Now neutered and now adopted! 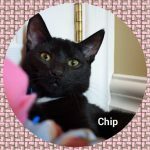 Chip was taken in from a colony trying to survive outdoors. Suffering from an upper respiratory and Cuterebra that had to be surgically removed. Now neutered and now adopted! 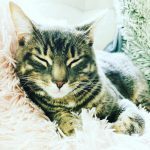 Happy Update for Olivia and Winkie. 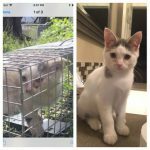 Olivia was the dumpster kitty that made the news last summer. Tied into a plastic bag and chucked in a dumpster in scorching hot temperatures. Winkie came to us as a kitten with a facial deformity. Born with no left eye. 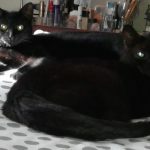 Now siblings and shown here doing well in their happy Home! 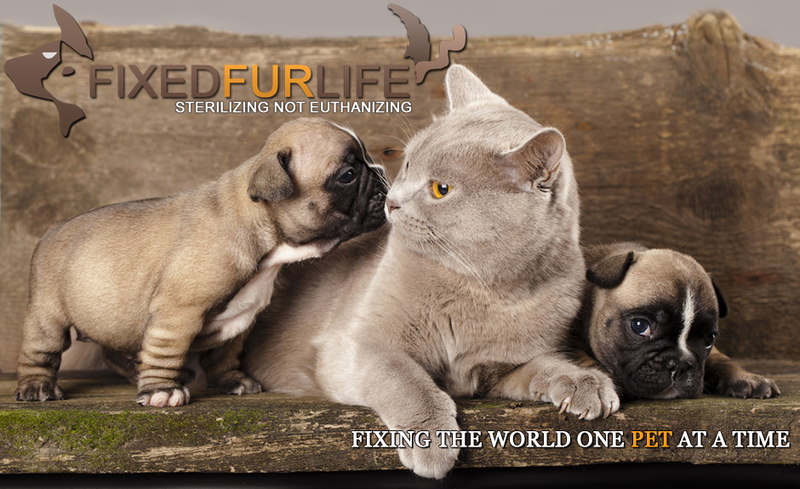 Selina came to Fixed Fur Life as her owner could no longer care for. She is a sweet, affection girl. Loves everyone. 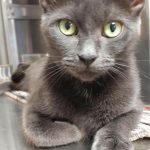 Now Spayed SELINA HAS BEEN ADOPTED! Lewis came to us as a young stray. He was trying to fend for himself outside. Going through left out garbage looking for scraps. We neutered him and happy to report he has been adopted! 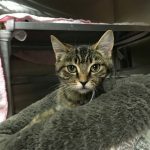 Maggie came to Fixed Fur Life as a wee kitten that had sustained wounds from a predator to her hind end. On Admission the wound was crawling with maggots. After many weeks of care all is resolved. She has been Adopted! Cheddar came to Fixed Fur a Life with his siblings. Owner was not able to care for. Their moum has now been Spayed. 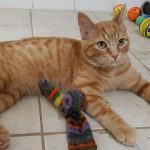 Cheddar has now been adopted! Ronny was rescued earlier this year from a hoarding situation where he had spent his life in a cage. As a result of his confinement he developed an impairment in his walk. He adapted extremely well to his new life since his rescue and is enjoying the freedom of moving around and playing. HE has now been ADOPTED! 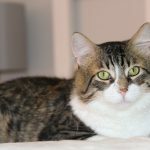 Prince came to Fixed Fur Life as an un Neutered Stray. Such a perfect gentleman. He was a joy to take care of. Neutered and now adopted! 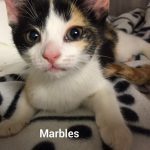 Marbles came to us with her siblings. They were trying to survive outside. Siblings adopted and Marbles has gone onto her new home today! 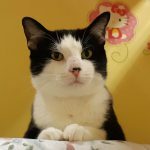 Marty came to Fixed a Fur Life as a young kitten. On Admission he had to have a Cuterebra removed over his right eye. It took many weeks to heal but eventually did. He has now been adopted and has gone onto his new home! 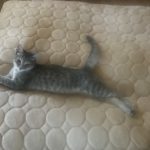 Henny came to Fixed Fur Life as a pregnant stray many months ago. Her kittens were all adopted. 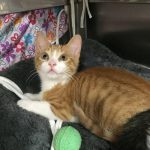 She was Spayed and has recently gone onto her new home! 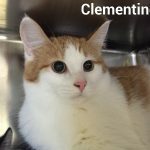 Clementine came to fixed Fur Life with her 3 siblings who had been fending for themselves outdoors. She was Spayed by Fixed Fur Life. She was with us for many months due to her shyness. A great family came in and were able to look past her shy demeanour. She has now been adopted and gone onto her new home.